At The Hair Boutique, we want to ensure you are 100% satisfied with your experience each and every time you visit. That means we will always go above and beyond what you might expect to find at other salons. In fact, we promise to provide you with the highest quality experience from the moment you step through the door until the time you leave with an amazing new style. A warm welcome – Whether it’s your first time arriving or your fiftieth, our receptionists will make you feel like you’re visiting an old friend. Enjoy a complimentary beverage on us, sit back and relax! Prompt service – Unlike some other salons, we won’t keep you waiting in the lobby for hours. We promise that your stylist will greet you within two minutes of your arrival. Because we know your time is precious! A thorough consultation – The best way for a stylist to deliver a great service is for them to fully understand your needs and desires. So, our stylists take the time to do a thorough consultation with you at every appointment. 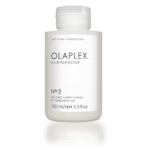 Helpful recommendations – We know sometimes things can get confusing when trying to figure out what products or services you want for your hair. But that’s where our helpful staff come in. They’ll make suggestions based on their knowledge and experience and only recommend products and services that meet your individual needs. 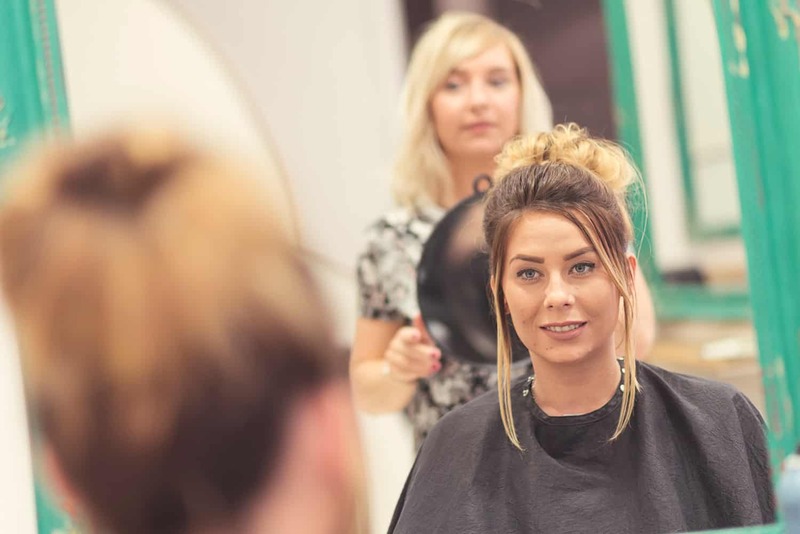 Knowledgeable staff – All of our stylists are highly skilled, knowledgeable and well-trained in all aspects of hairdressing, so you can feel safe relying on them for their expert advice! A passion for service – Not only are our staff members passionate about great hair, but they’re also passionate about giving you the best customer service experience as well. From the receptionist to the manager, and everyone in between, we are all here to make sure YOU leave our salon looking and feeling amazing!